A Sirius Disclosure Film in collaboration with The Orchard Auroris Media Productions. Runtime: 1hr 43 mins. May 9, 2017. 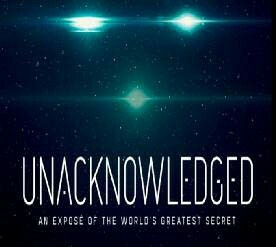 WITH ITS HIGH PRODUCTION VALUES, Unacknowledgedmay at first seem to provide substantial evidence that space aliens have visited the Earth—and in particular that the Roswell incident involved an actual crashed spaceship, bodies of an alien crew, and a massive cover-up of these facts by the government of the United States. The documentary also asserts the reason for the cover-up: it’s part of the suppression of the science and technology of zero-point or quantum vacuum energy, which would give us unlimited, pollution free energy, and eliminate poverty and starvation throughout the world. The perpetrators of this evil conspiracy are, according to the film, those in charge of “Black Programs,” which gobble up either $40 to $80 billion a year (suggested early in the film) or $100 to $200 billion (as the narrator states later in the documentary). The first part of the book, with the exception of the strange Ft. Riley, Kansas warehouse scene with an alien body being observed by Corso on July 6, seems to have nothing to do with him. He admits he wasn’t involved at all in the recovery, investigation, or evaluation of what happened near Roswell. 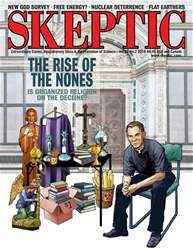 It is almost certainly based on the many Roswell books already published by Randle and Schmitt, Moore and Berlitz, and Don Berliner and myself, but with no attempt to validate or critically evaluate anything and no credits being given.